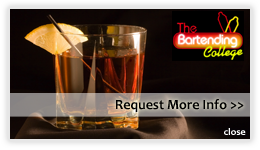 The Bartending College Bartending 101 course is quite simply the most complete and current Bartending Course available ANYWHERE! 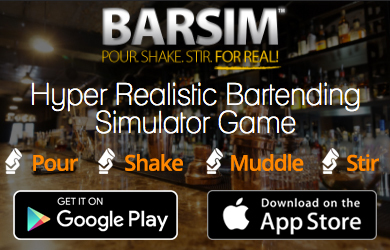 No other Bartending School can match the curriculum and staff experience that we have, and this is demonstrated day in and day out with our incredibly high job placement rates. Our Bartending Course will literally teach you everything you need to know to be a competent, skilled and most of all WORKING bartender. And best of all, we can do all of this in about 2 weeks! Our course goes beyond the basics to cover topics that most Bartending Schools simply ignore. Opening/Closing the bar - Prepping for next shift, stocking, etc. Garnish Preparation - How to prep, figuring amount to prep. Glassware - how, when & where to use it. We teach you the histories and how & where liquors & liqueurs are made and the differences between them. By the time we're through with you, you'll be an Alcohol expert spewing liquor facts like sports stats! Enrollment includes: Registration, Course Book, lifetime & nationwide job placement assistance and free refresher course. Ready to get started? Call 1.888.901.TIPS - class space is limited, so reserve your seat in our next class today!